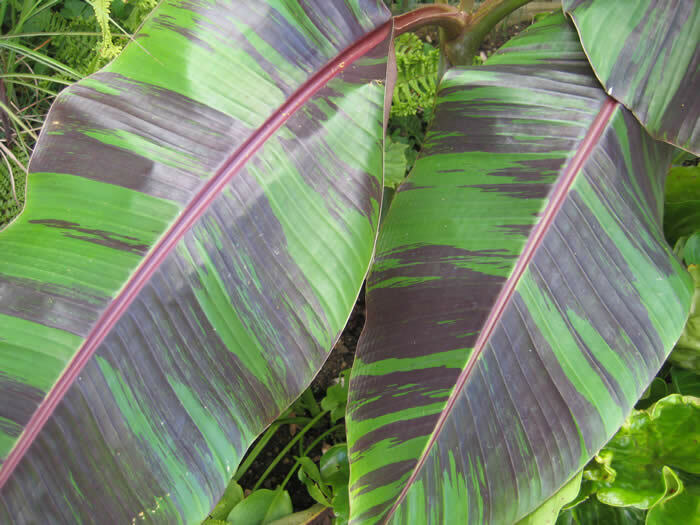 There is nothing even close to a specimen banana plant to bring that exotic, tropical feel to your garden. 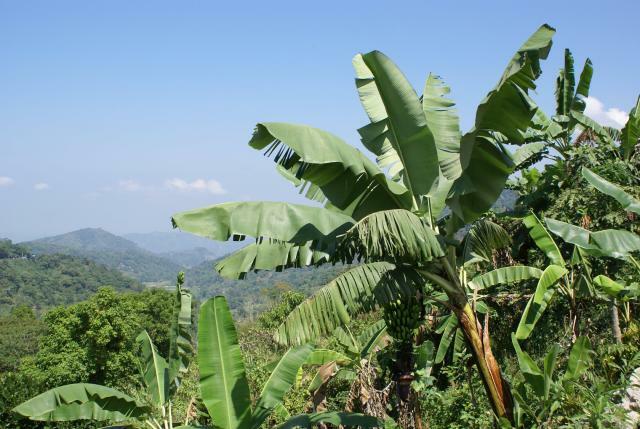 And now, with ever hardy varieties becoming available, the reality of growing a banana all year round - without cold protection - is becoming more of a reality. Ornamental bananas are usually best kept within the warm, sunny confines of a south facing conservatory, but there are a couple of examples that could be considered as being 'almost' hardy and well worth the little extra effort involved in growing outside. The best cultivar for consideration is the hardy Himalayan bamboo 'Musa sikkimensis', but failing that - as availability is sparse - the next best variety would be Musa basjoo. Both of these varieties can even be left outside to over-winter if given suitable protection from hard frosts. The closely related Ensete ventricosum (sometimes known as Musa ensete) is also worth a try. Even though it is not as hardy, it is far more ornamental by comparison. However, this variety should not be left to overwinter outside - even with adequate protection - unless you live in the mildest of regions. For the stunning red coloured form choose Ensete ventricosum 'Maurelii'. 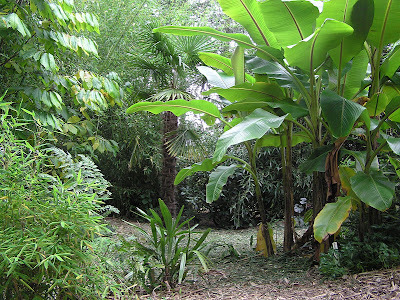 Position and soil type is what is most important with regards to the successful cultivation of ornamental bananas. 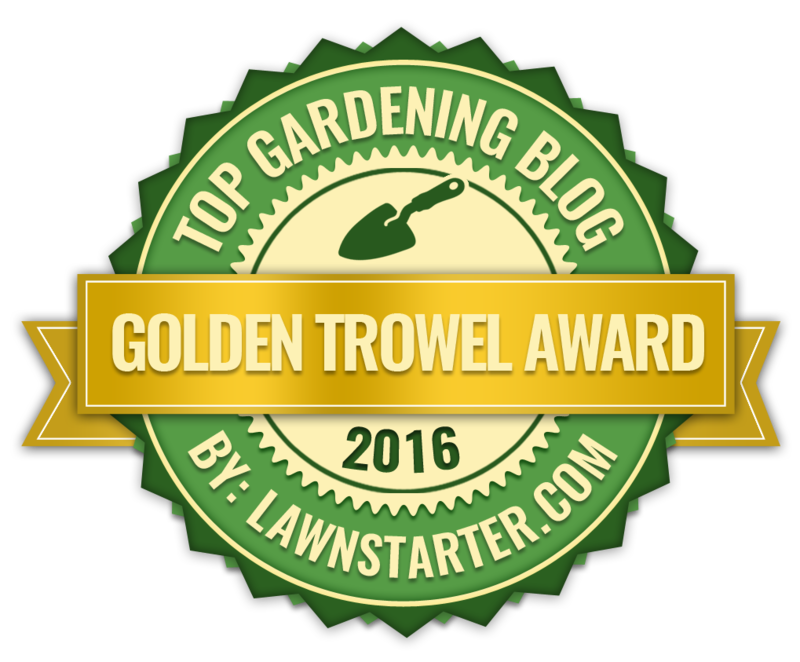 You will want to try and position your plant in a sunny site which has a certain amount of protection during the height of summer - not only from the drying effects of the sun, but also to protect the leaves from damage by strong winds. This will also help to maintain humidity levels which are important for healthy growth. The soil will need to be slightly acidic, and well drained - particularly important for overwintering - with a high organic matter content. Your banana plant will also need plenty of water through the growing season including a regular spraying of the foliage, but refrain from doing this during the hottest part of the day to avoid leaf scorching. Bananas are renown for heavy feeding and so a good tip for successful growth is to add plenty of mulch throughout the growing season. It may also be worth adding a couple of doses of 'sulphate of potash', once at the beginning of the growing season with a second during the height of the summer. .When the plants are growing strongly, they should be fed with a liquid fertilizer whenever they are watered - except in winter. However, keep an eye on the condition of your plant as regular feeding may cause damage if plants are in poor condition. 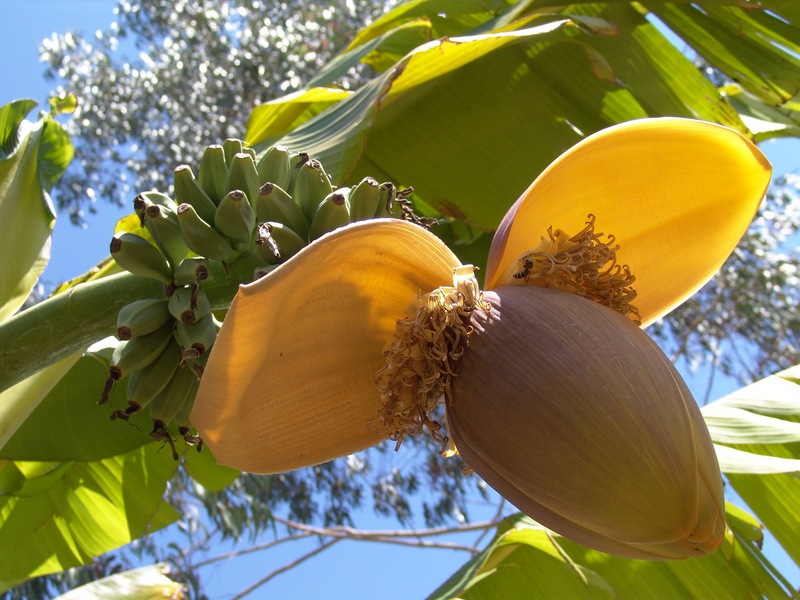 Clearly one of the most defining features of the banana tree - apart from its large and distinctive tropical leaves - are its fruit, and although it is possible for this species to bear fruit in this country - given a long and hot summer - try and resist the urge to eat them as they are in fact inedible.